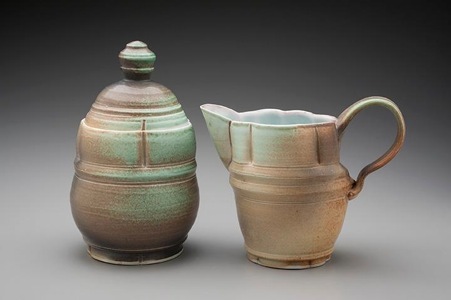 Recent Work, 2014 to current. 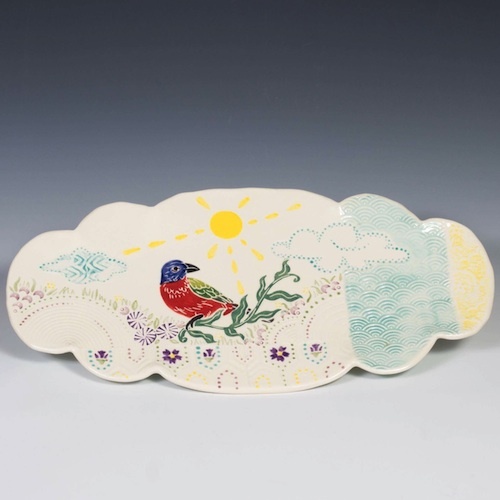 Painted Bunting Platter, electric fired cone 04 white earthenware. 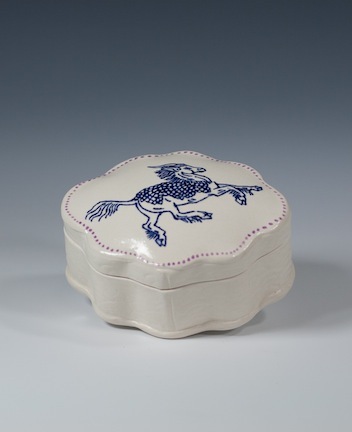 Roadrunner Trinket Box as exhibited in After School Special. 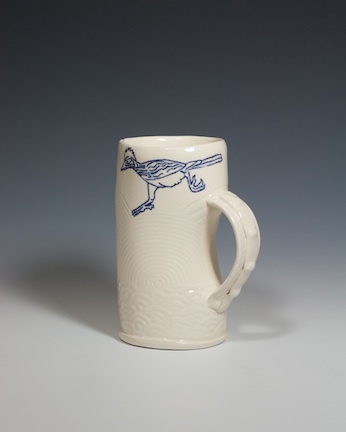 Roadrunner Mug, electric fired cone 04 white earthenware. 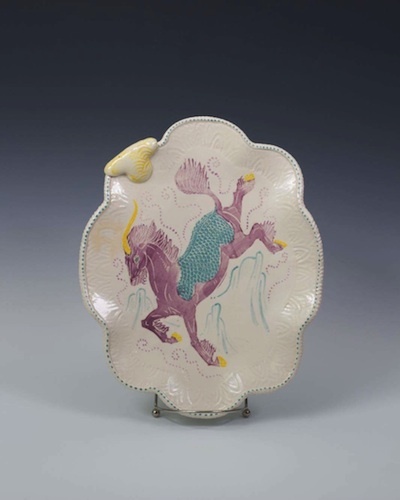 Ki'rin Cloud Platter, electric fired cone 04 white earthenware. 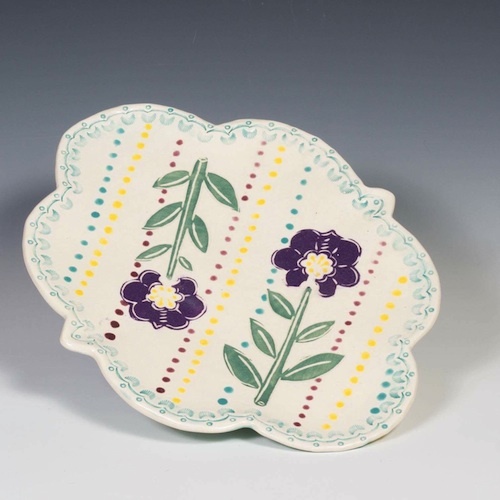 Flower Platter, electric fired cone 04 white earthenware. 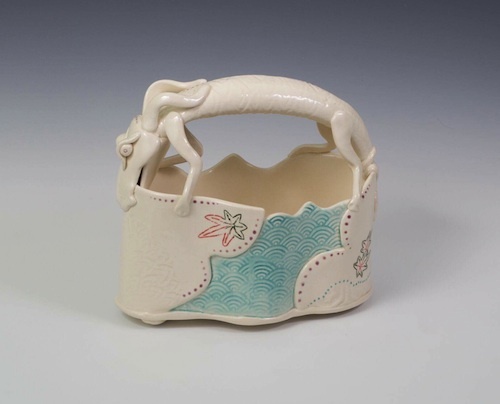 Dragon Basket, electric fired cone 04 white earthenware. 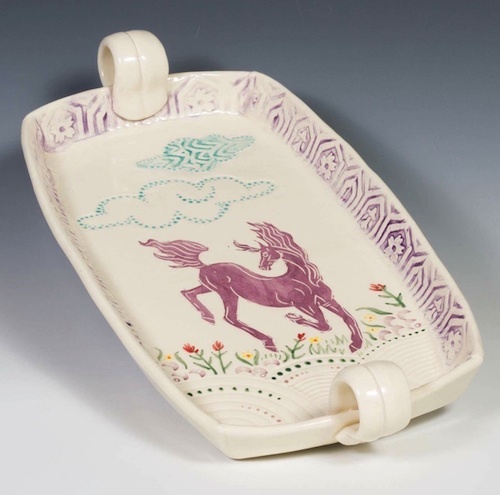 Leaping Horse Tray, electric fired cone 04 white earthenware. 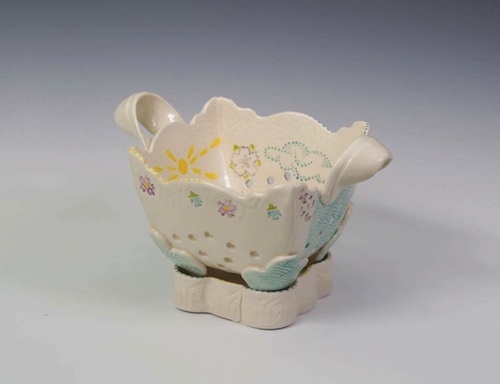 Berry Bowl with Trivet, electric fired cone 04 white earthenware. 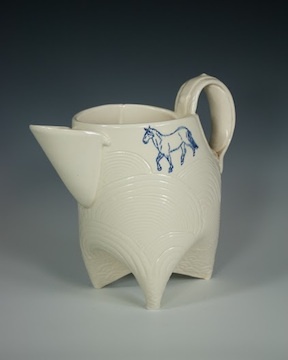 Pitcher with Grooming Horses, electric fired cone 04 white earthenware. 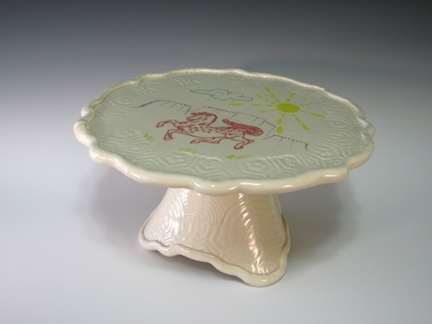 Cake Stand with Southwestern Horse Scene, electric fired cone 04 white earthenware. 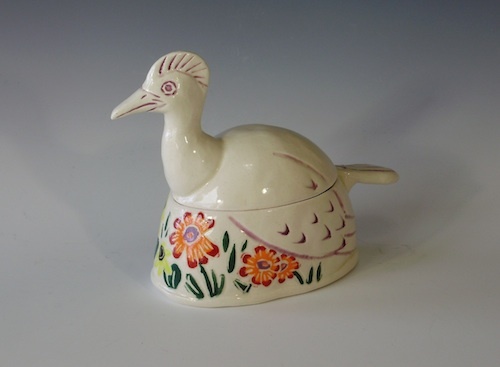 Zoomorphic Ewer with Floral Scene, electric fired cone 04 white earthenware. 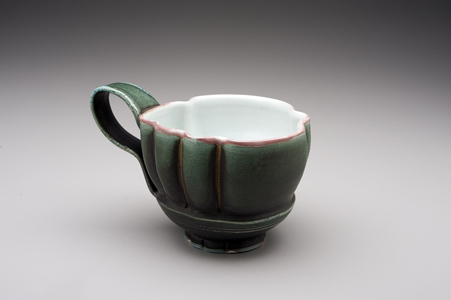 Accepted into Stories on Clay, 2016. 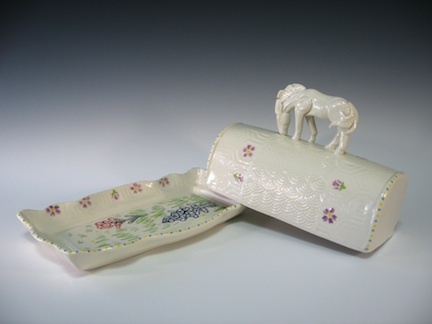 Butter Dish with Grazing Texas Horse, electric fired cone 04 white earthenware. 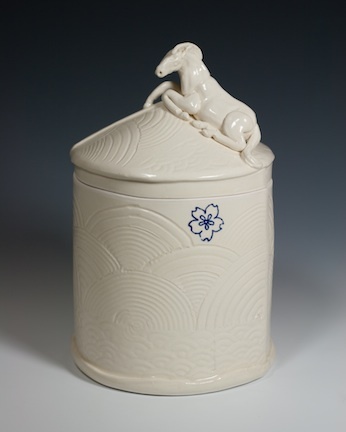 Cloud Box, electric fired cone 04 white earthenware. 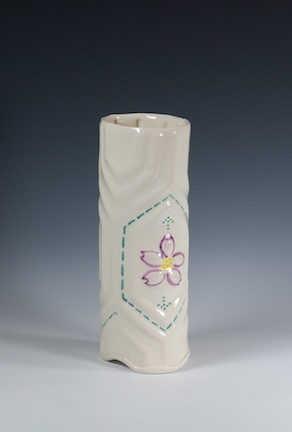 Vase, electric fired cone 04 white earthenware. 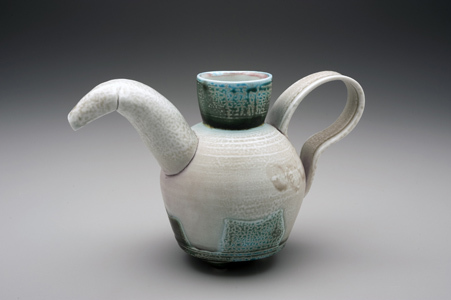 Teapot, electric fired cone 04 white earthenware. 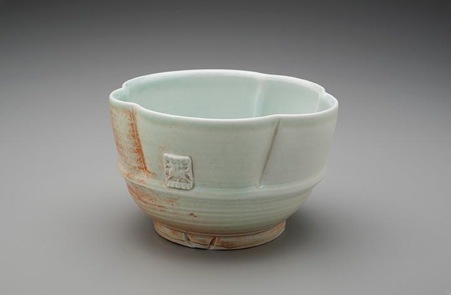 Ki'rin Ring Dish, electric fired cone 04 white earthenware. 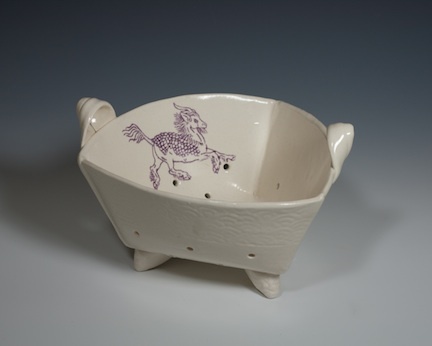 Colander, electric fired cone 04 white earthenware. 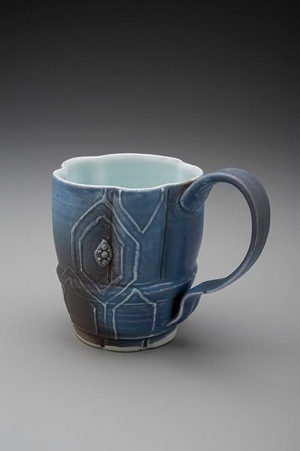 Corset Mug, electric fired cone 04 white earthenware. 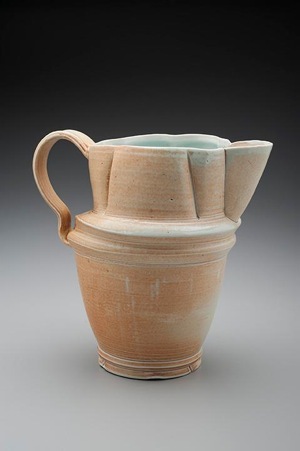 Jar with Sculpted Knob, electric fired cone 04 white earthenware. 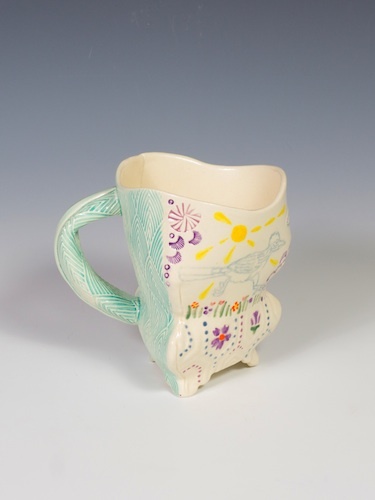 Accepted into Menagerie, 2016. 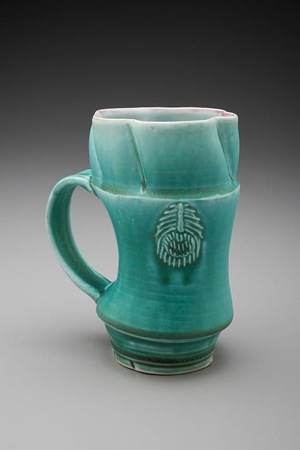 Mug, electric fired cone 04 white earthenware. 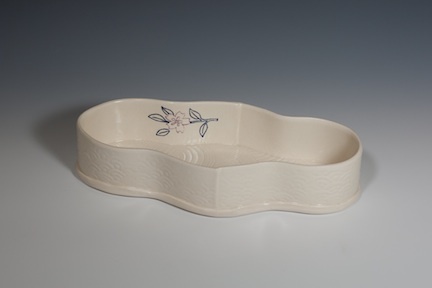 Silhouette Tray, electric fired cone 04 white earthenware. Accepted into At Your Service, 2016. 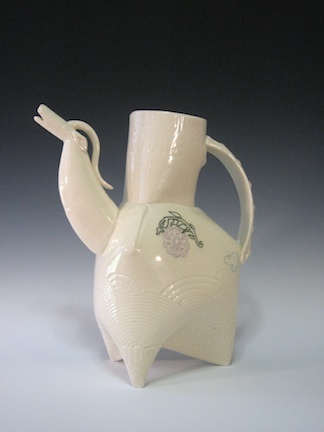 Zoomorphic Ewer, electric fired cone 04 white earthenware. 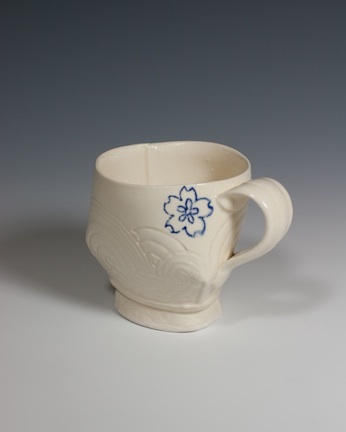 Teacup, electric fired cone 04 white earthenware. 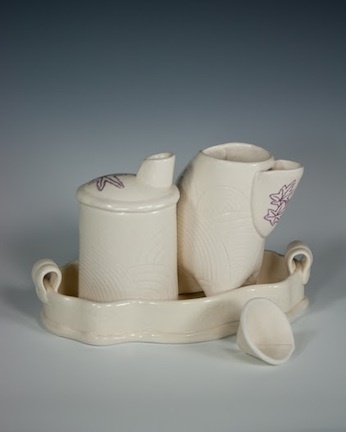 Cream & Sugar with Tray and Funnel, electric fired cone 04 white earthenware. 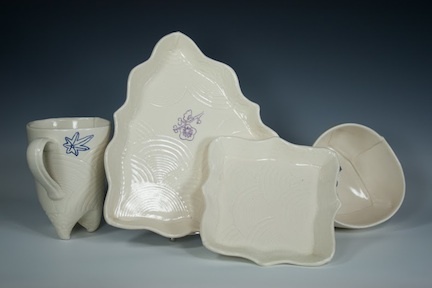 Place Setting, electric fired cone 04 white earthenware. 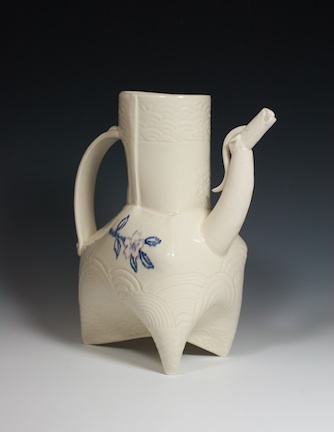 Pitcher, electric fired cone 04 white earthenware. 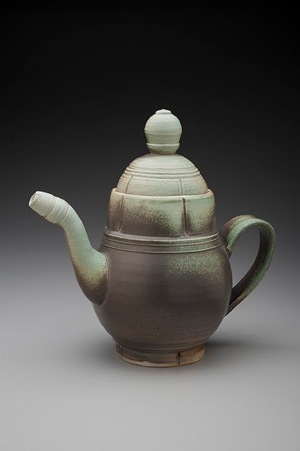 Teapot, salt fired reduction cone 10 white stoneware. 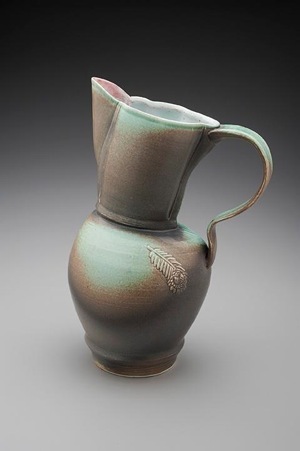 Pitcher, salt fired reduction cone 10 porcelain. 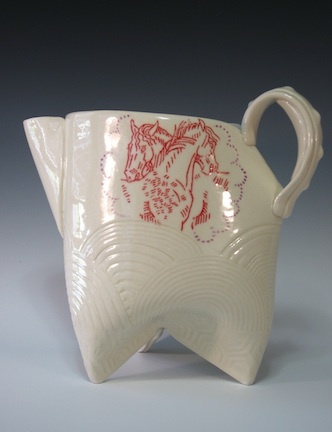 Pitcher, salt fired cone 10 reduction porcelain. 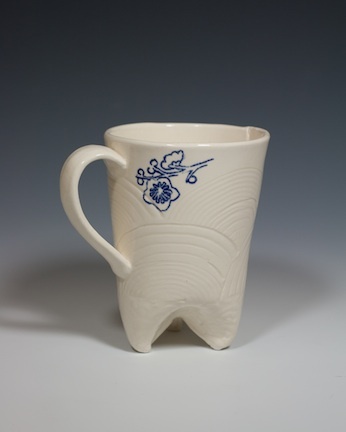 Corset Mug, salt fired reduction cone 10 porcelain. 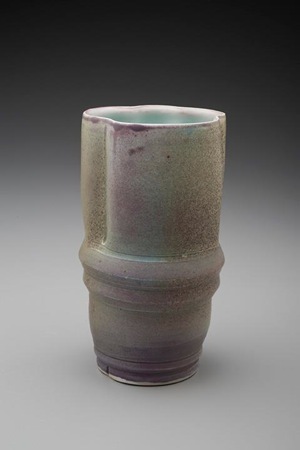 Tumbler, salt fired reduction cone 10 porcelain. 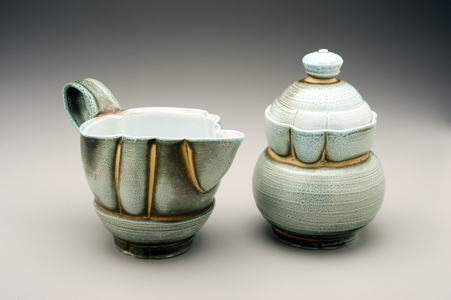 Cream and Sugar set, salt fired reduction cone 10 porcelain. 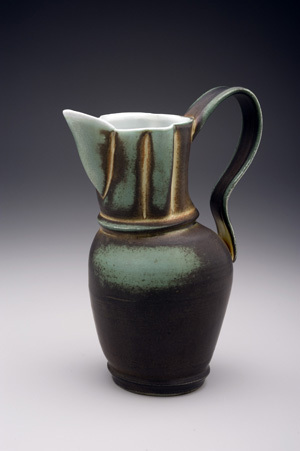 Gestural Pitcher, salt fired reduction cone 10 porcelain. 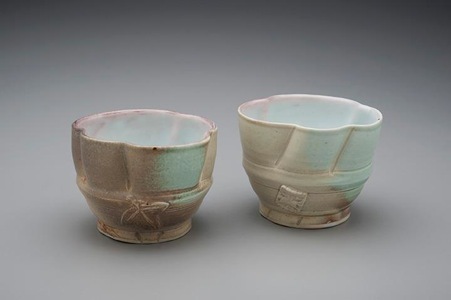 Matched Liquor Cups, salt fired reduction cone 10 porcelain. 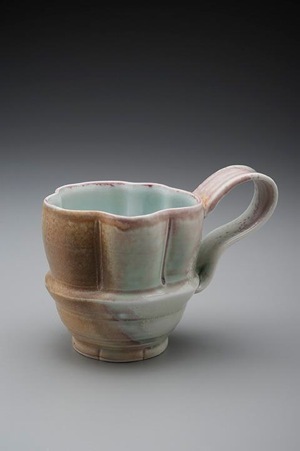 Mug, salt fired reduction cone 10 porcelain. 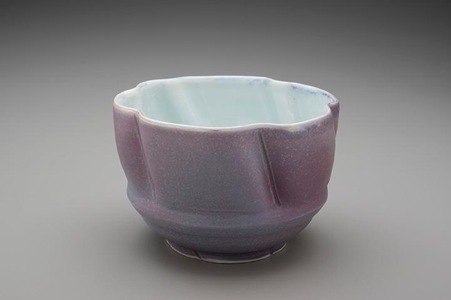 Bowl, salt fired reduction cone 10 porcelain. 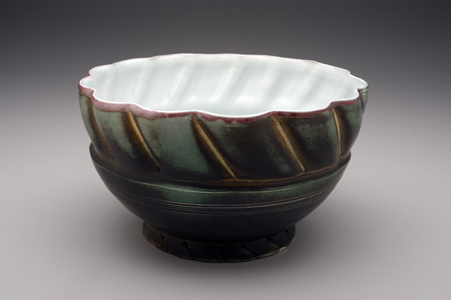 Serving Bowl, soda fired reduction cone 10 porcelain. 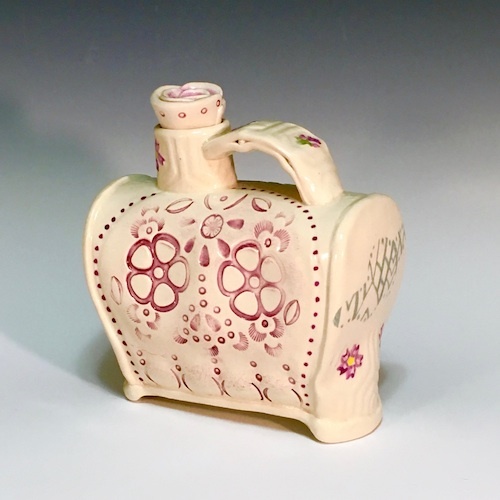 Sold at the From the Ground Up XXV show in Las Cruces, NM. 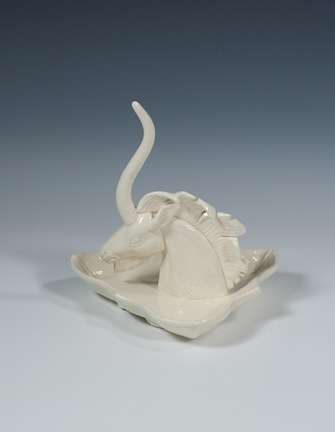 Zoomorphic Pouring Vessel, soda fired reduction cone 10 porcelain. 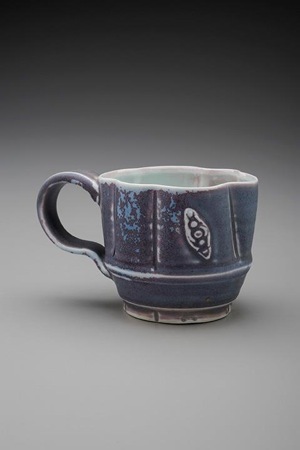 Mug, soda fired reduction cone 10 porcelain. 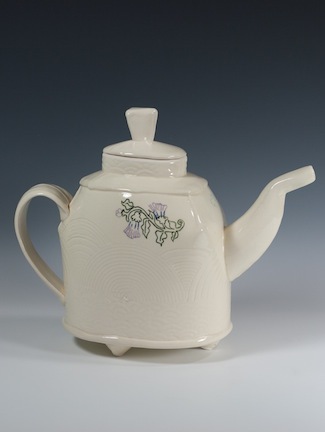 Cream and Sugar set, soda fired reduction cone 10 porcelain. 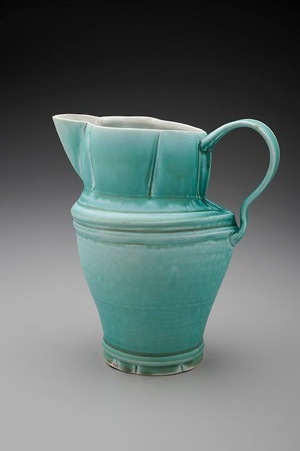 Wine Carafe, soda fired reduction cone 10 porcelain. 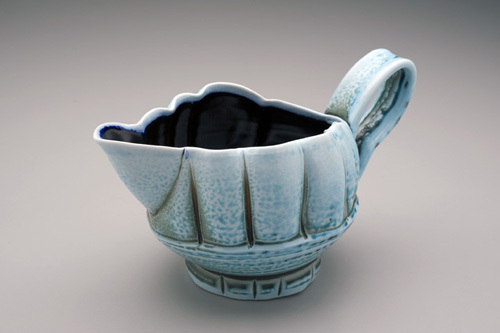 Sauce Boat, soda fired cone 10 reduction porcelain.